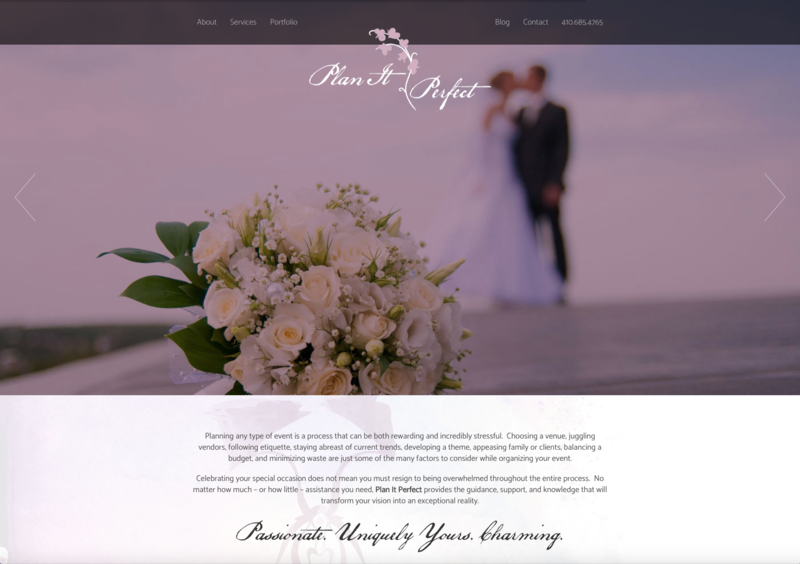 Plan It Perfect is a Baltimore-based event planning company specializing in high-end weddings, corporate events and event management and consulting. The prior branding and website experience was not consistent with their client base or matching the level of expert service customers expect. The challenge presented to ORANGEHAT involved re-capturing that elegant feel of their services into a welcoming feeling for their current clients, and improving their reach to new clients. 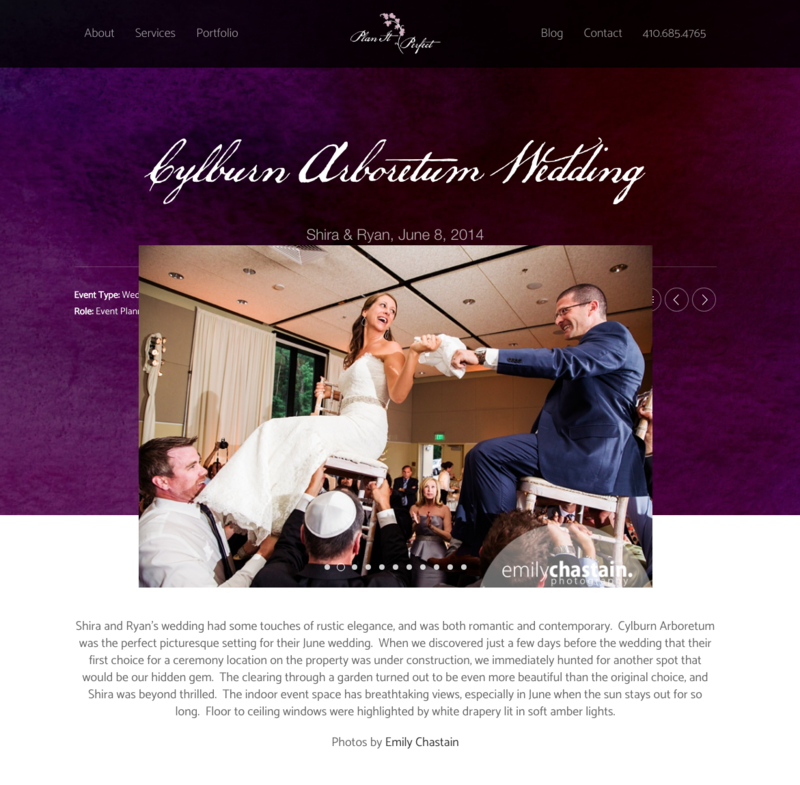 The branding effort was to also expand into their marketing collateral, and most importantly, their website. 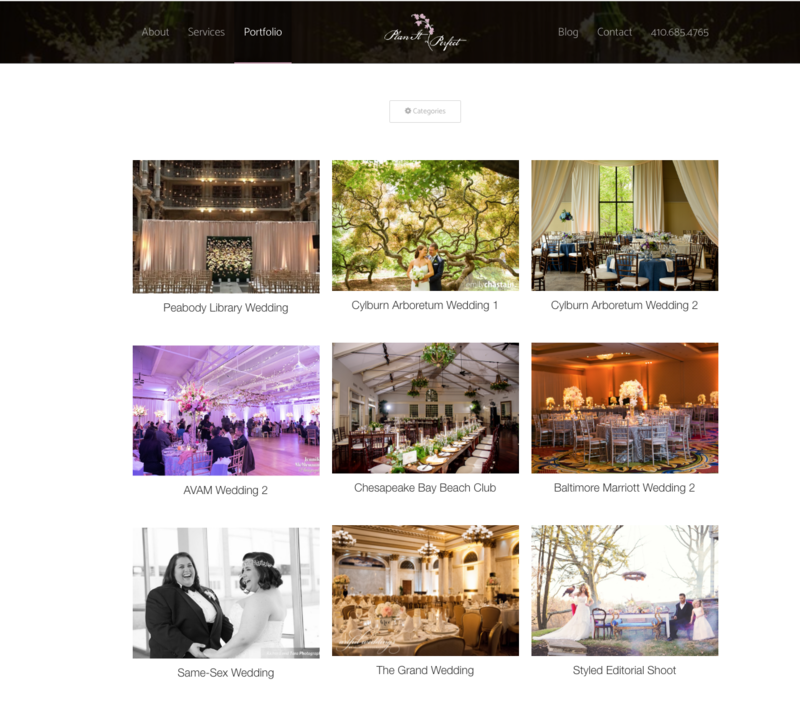 With a large photography library of prior events, how could those visual elements be organized into the site to educate and inform potential clients about Plan It Perfect? Convey a sense of confidence and comfort to describe their full range of services and encourage customers to schedule a consultation or request a proposal. The new visual identity must maintain what makes them unique while providing content and a comfort to clients that visited the website that Plan It Perfect is the perfect choice for their event. ORANGEHAT was educated on the company background which provided some key details that would form the basis of the new visual brand identity and website. Orchids played a large point of inspiration for the logo and visual executions. Blending a mixture of organic elements, soft color palette and a clean and modern layout of content, ORANGEHAT was able to develop an identity that balances elegance, sophistication, class and professionalism. That thought-process was expanded into their print collateral through the use of paper selection and print techniques. The website continued to expand the brand further. An assessment of content, client portfolio and photography assets was handled by ORANGEHAT to best determine a natural user-experience. A push for simplification in the length of each page, along with providing ways of efficiently displaying more detailed content – specifically in the client portfolio section of the website. The entire branding has served as a foundation for Plan It Perfect to better market themselves and expand their business.